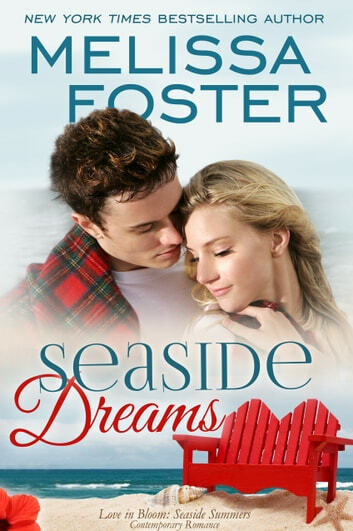 Seaside Summers is part of the Love in Bloom romance collection by New York Times & USA Today bestselling and award-winning author Melissa Foster. Characters from each sub-series appear in future books. Visit Melissa's website for family trees, series checklists, and more. Binge read more of the Love in Bloom series! Filled with heat, humor, and heart--and always a happily ever after--these steamy romances are perfect beach reads! I love romance novels. Needing a summer read, I purchased the "Seaside" series to test this author. Her prose is easy to read. Her characters are well described and believable. The story was easy to anticipate, but still enjoyable. I am looking forward to reading the next novel in the series. This book is about lasting friendships, a life changing decision and love. It's heartwarming and funny yet tugs at your heartstrings. Love this book makes you believe in Love again... makes you understand and believe in family love and devotion. ..
A good book to start with.... For the ones who love Romance. A bit cliche but overall for the beginners it would be a nice book.